OK. I’m not the poet my cousin Bonnie was, but I have dabbled in versification since I could put together sentences. I have a couple examples that I wrote in 4th grade, I think. 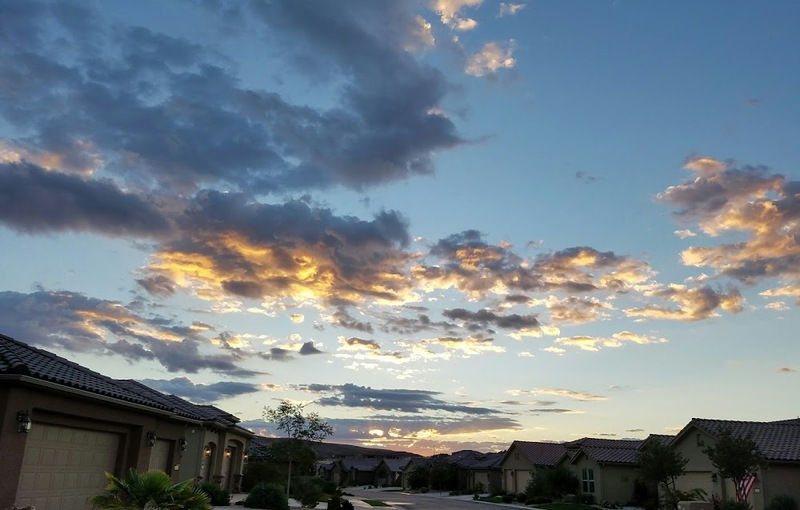 (I’ll share those at another time.) 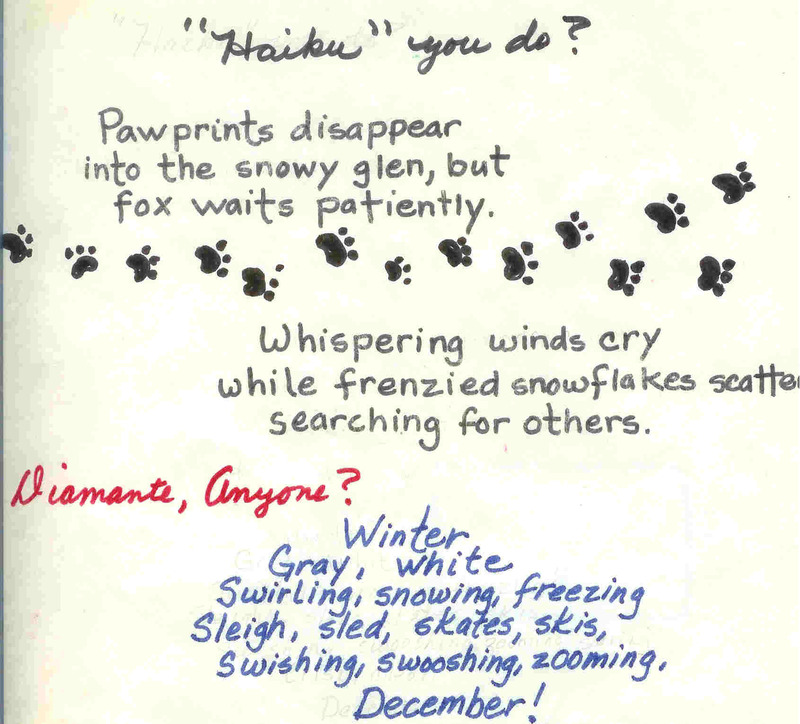 The poems I want to share now are ones I wrote WITH my seventh-grade students W-A-A-A-Y back in the ’90s. Starting after Thanksgiving, we created “formula” poems – verses that follow “a set pattern of instructions.” For example, Haiku is a formula poem. Not everyone favors this kind of poetry, but I always enjoyed it because I was often surprised with the end result. I think these endeavors require writers to precisely choose the perfect word with the right number of syllables and still create lines of magic. I’m not saying my efforts achieve that, but some came close. And many of my students surprised themselves, too. I found this illustration in a magazine and loved it . I have NO idea what it was advertising, but I want to credit that anonymous ad-man/woman for inspiring the theme AND the title for my little book. This is my favorite! 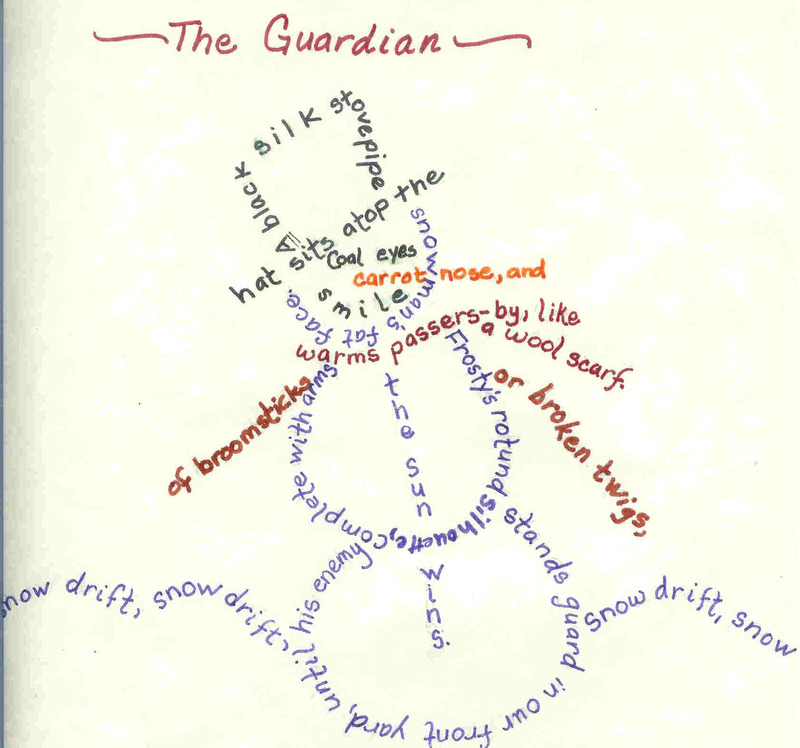 “The Guardian” is called a “concrete” poem, and the first line starts near the brim of the hat:: “A black silk stovepipe hat sits atop the snowman’s fat face.” Can you wind your way around the rest of the verse? Each of these two 5-line poems are examples of a “cinquain.” Requirements demand that a certain number of nouns, ajectives, gerunds, and synonyms combine to create succinct verses! While nearly every student in the world knows Haiku, the ancient formula poem is difficult to create. Traditionally, the subject involves nature, but the commentary is also profound – don’t look for that in these efforts! The “diamante” asks the poet to create 5 lines of adjectives, nouns, and gerunds that move from general to specific! 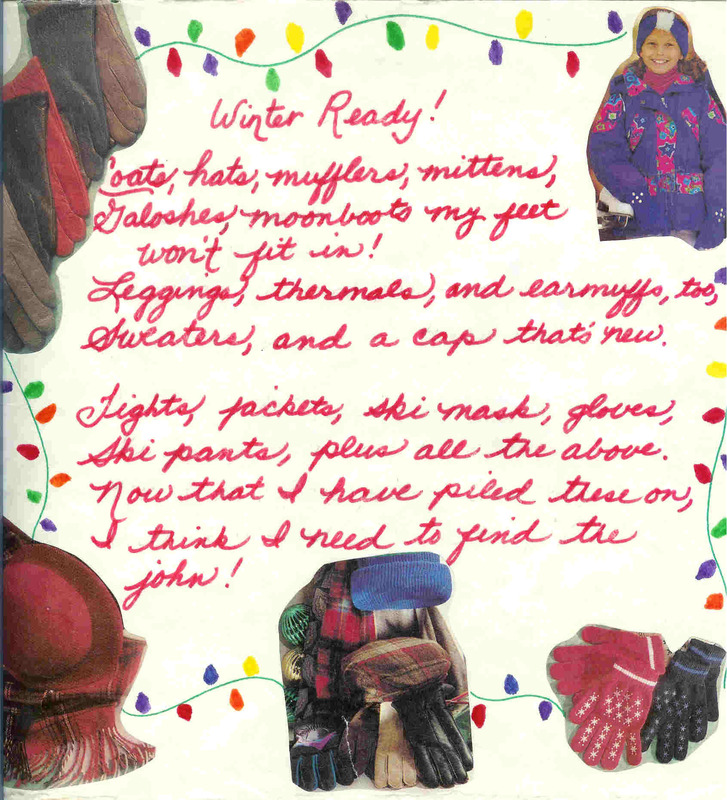 “Winter Ready!” is a “list” poem. My poem was inspired by a scene from every kid’s life! To introduce list poems, I played songs that featured lyrics of lists. Billy Joel’s “We Didn’t Start the Fire” and Faith Hill’s “This Kiss” are two examples. Well, I think that’s it. I know I should have posted this in January and my January Valentine post tonight, but I’ve learned that you go with what you’ve got when blogging becomes part of your life. Still, I wish you all a wonderful Valentine’s Day. 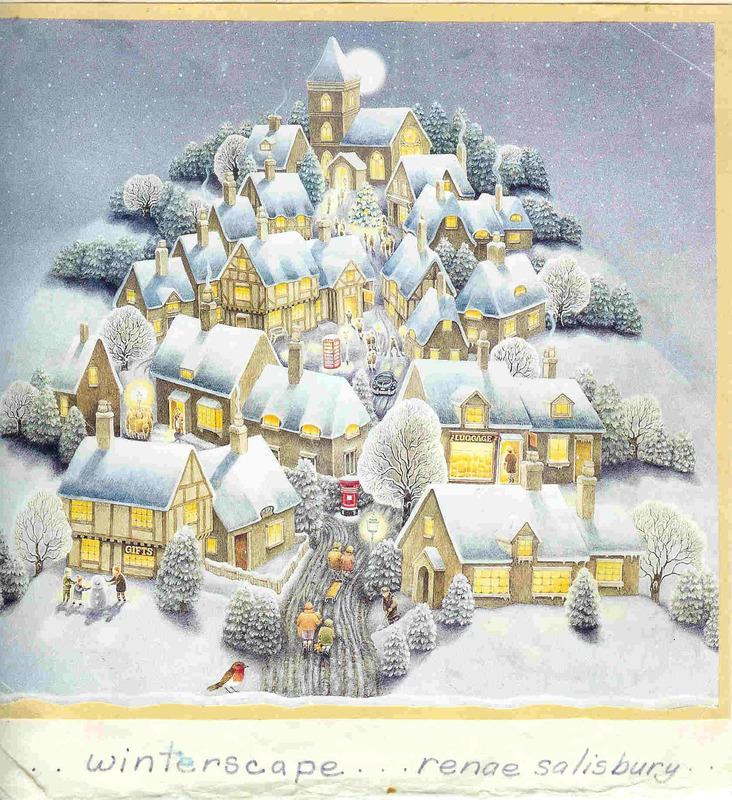 Categories: ... just another entry ... | Tags: Cinquain, Concrete poems, Diamante, Formula poems, Haiku, List poems, Winter, Writing | Permalink. Well looky here. A place I can come to have poetry explained to me. In my country school experience I missed the opportunity of learning how to actually write them. (Except for one teacher in grades 7 and 8.) No kidding, no one as far as I can remember ever explained “diamante” to me before, nor “cinquain” or “concrete”. When I attended school back in the 50s and 60s, I never learned about “formula” poetry. I made up sing-song rhymes that I thought were amazing, and then in college I launched into free verse that I thought was profound. Neither evaluation held or holds water! When I went back to college in the late 80s to be an English and/or history teacher, I was introduced to formula poetry. Later, I used it in my classroom to help reluctant writers, but I NEVER discouraged them from flying off on their own to create something uniquely theirs. Formula poetry, however, is a fun way to reinforce what adjectives, verbs, adverbs, and gerunds are – just a bit more exciting than diagramming sentences! 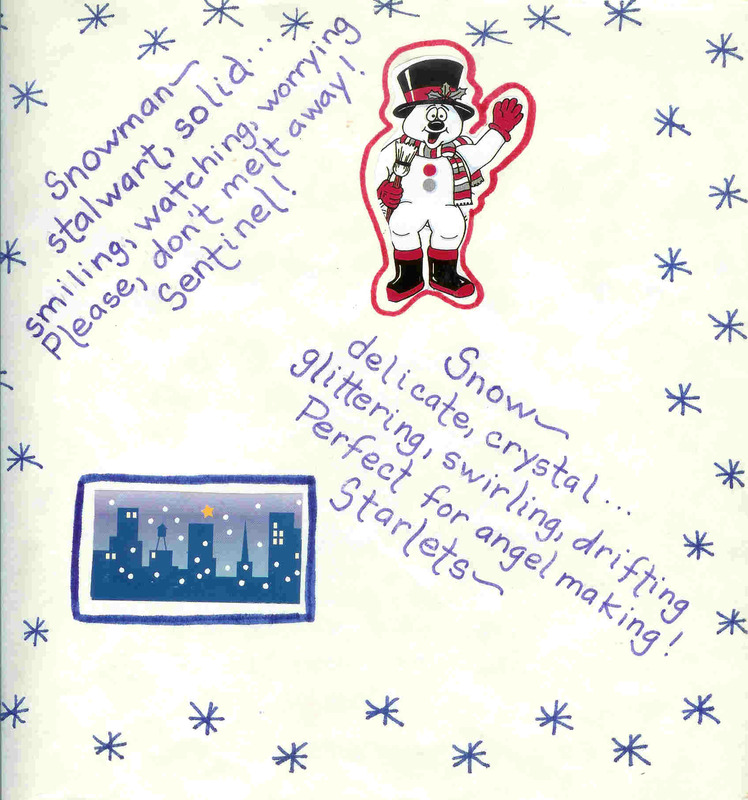 I too missed learning how to write poetry in school, due to moving from a public school back and forth to a school on army bases throughour my childhood…..i found this post helpful in many ways…love the snowman outlined with poetry….